– Extremely compact tool size. – Enhanced dust and drip-proof performance. – Wider torque range of 1 – 10N.m in clutch mode. – Best possible ergonomic handle for driver-drill applications. – Variable Speed, Electric Brake, Reversing, Mechanical 2-Speed, Keyless Chuck, Torque Setting 21, Built-In Job Light and Carry Case. – Battery and charger sold separately. – Powerful angle grinder now free from cord. 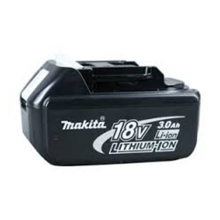 – Only compatible with BL1830 3.0Ah Li-Ion battery. 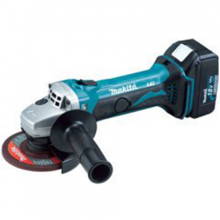 – Capable of using wheels / discs for AC grinders. – Easy to grip, small circumference motor housing. – Anti-restart function for safety (with warming lamp). – Electronic current limiter (with warning lamp). 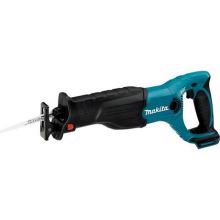 – Extra high cutting speed model with large variable speed trigger. – Tool-less blade change and toolless shoe adjustment. – Dust preventing air flow protects the fornt head mechanism. – Best fit ergonomic grip shape for overhead application with gloved hand. – Two-light type LED job light with afterglow function. – Variable Speed, Electric Brake, Built-In Job Light and Carry Case. 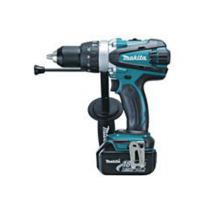 – Developed for main applications such as tightening of self-drilling screws or light duty machine screws. – High rotational speed: 2,900 r/min. – XPT – Extreme Protection Technology. 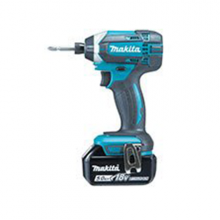 – Max fastening torque: 165N.m. – Compact and lightweight design. – Rigid aluminum hammer case. – Twin LED Job light with preglow and afterglow functions illuminates more widely compared with single LED Job light, while maintaining brightness. – Variable Speed, Electric Brake, Reversing, and Built-In Job Light.